ANGRY residents have slammed the Scottish Government for turning East Lothian into “a wasteland” after councillors lifted a restriction on where waste treated at a proposed incinerator can come from. East Lothian Council planning bosses yesterday voted 12 to two in favour of removing a condition under which only waste from Edinburgh, East Lothian, Midlothian and the Scottish Borders could be brought to recycling giant Viridor’s £200 million plant in Oxwellmains, near Dunbar, for incineration to produce energy. The decision means waste from all over Scotland will come to the facility when Viridor finishes building it in 2016. Viridor was granted permission in 2010 for the plant after a Scottish Government reporter reversed a council ban but imposed a condition limiting where waste is sourced. Council bosses said the decision to lift the restriction was reached as government guidance had since changed, meaning waste generated in Scotland could be treated anywhere within national borders. Residents living close to the site of the proposed plant today told of their fears over future levels of pollution and traffic, and said they felt “powerless” against the Scottish Government and Viridor. 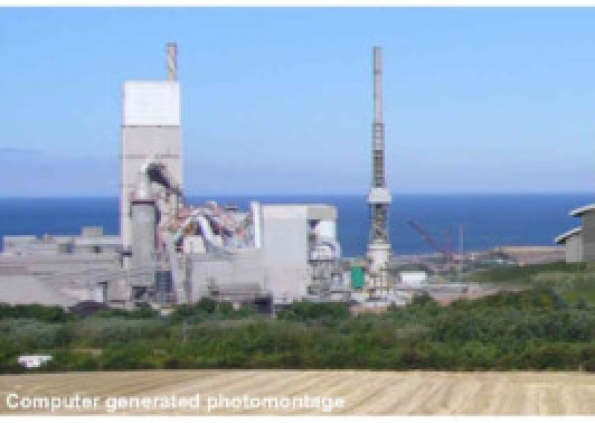 Chris Bruce, member of the joint action group opposed to the plant and chair of East Lammermuir community council, said: “As you pass Dunbar, you see a cement works, a landfill site and a nuclear power station �C and now we are going to have this incinerator. “It’s one unsightly development justifying another unsightly development, and it’s as if our part of the world is being written off as a wasteland. Viridor bosses welcomed the decision and said the new plant would help deliver the government’s zero waste strategy. Colin Paterson, the company’s regional director in Scotland, said: “The decision by East Lothian Council to approve the policy alignment on waste reception reflects a common-sense approach which has long operated across Scotland.